Missing one or more more of your teeth? Got dentures that don’t work? Fed up with getting your teeth fixed? Losing your face shape? There’s good news with a revolutionary treatment, called All-on-4® dental implants. Get a permanently attached set of new teeth that look and feel like natural ones. 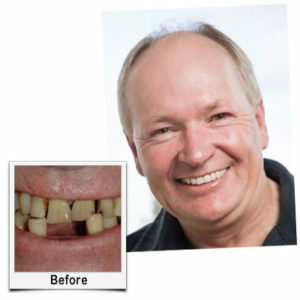 Change your life with the full mouth dental implants. You’ll get a new set of teeth attached by dental implants. No more removable dentures. No hiding your smile. Eat, talk and smile confidently again. Look & feel years younger, while enjoying all your foods again with a full set of teeth. This treatment not only improves your teeth, but your whole facial appearance. You can look and feel years younger. 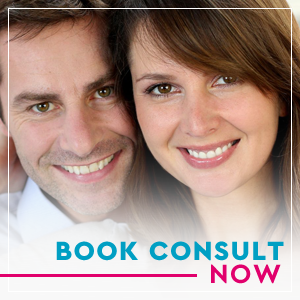 Don’t wait any longer, call us today for complimentary consult. Dr. Walrond can give you a smile back. Denture ImplantsSecure FitNo slippage, loose or ill-fitting teeth.ComfortCustom fit to your mouth means they are more comfortable too!Natural-LookingYour teeth feel and act like natural teeth.Eat All FoodNo limit to your diet with permanent denture implants. You can eat all kinds of foods without fearing your teeth coming out.Look YoungerPrevent jaw shrinkage and bone loss with permanent dentures. You can even avoid some wrinkles without a sagging jawbone.InvestmentWhile it is an investment in your health, the results are long-lasting and rarely need replacing.Convenience & ConfidenceNever worry about your teeth! Eat, smile, talk, and live your life confidently. Frequent SlippageWith removable dentures, frequent adjustments are needed.Awkward FitRemovable dentures often grind.Plastic LookingFeel fake in your mouth and often not as good of a match to your mouth.Limited DietWith restricted chewing ability, you have to avoid certain foods like steak, corn on the cob, and apples.Look OlderRemovable dentures can lead to faster bone deterioration and wrinkles.Less ExpensiveIn the short run, removable dentures seem less expensive. However, they require frequent updates and replacements that add up over the years.EmbarrassingDenture wearers often worry about their teeth coming out. Denture wearers also hide their smile and may limit certain activities over fear of the teeth. Wondering about the costs? You’re not alone! Each patient has different dental implant needs. That’s why we offer a complimentary consult to go over treatment costs. There’s no hidden fees and you’ll get all the costs upfront. For payment, we accept checks, cash or credit cards. We also offer flexible payment plans via Care Credit and Lending Club. You’ll meet with our Financial Coordinator during your consult to discuss the best payment options for you. Our team is dedicated to helping you find a solution to afford treatment. Generally, you can save hundreds with us over corporate dental implant centers. Come see us for a second opinion or to find out your options. Dr. Scott Walrond grew up in Greensboro. He attended public school and graduated from Southeast Guilford Senior High School. He continued his education majoring in Chemistry at UNC-Chapel Hill. He graduated with his Doctor of Dental Surgery Degree at the University of North Carolina at Chapel Hill School of Dentistry. Dr. Walrond has began practicing in June of 1990. 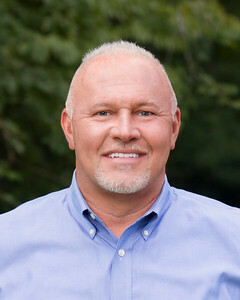 Since that time, he has dedicated his professional life to staying abreast of new technology in order to help patients achieve the best possible smile, rehabilitative, and general dentistry. He is also a graduate of the Las Vegas Institute of Cosmetic Dentistry. 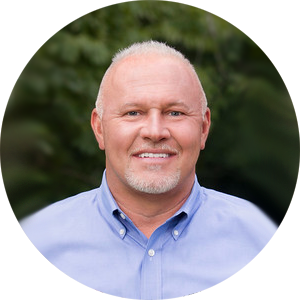 He is a current member of the prestigious “Forum for Dental Esthetics” based in Charlotte at the Nash Institute. “It is not an exaggeration to say that Dr. Walrond changed my life. I can smile with confidence and not shame. I can laugh without covering up or turning away. I can talk to someone eye to eye without the embarrassment of them looking at my teeth. I can eat!!! No more crushing potato chips. No more ordering off of a menu food I didn’t want because I couldn’t chew the food I did want. It has been seven years since I received my implants and I still get compliments about my nice smile. My only regret is not doing this earlier.” – Ron W.
*Individual results may vary. A majority of patients qualify (roughly 90%) and can have their procedure in one day after initial consult. Most patients will leave surgery with a temporary prostheses and have a final placed at a later appointment. Complimentary consults do not include a CT scan.